First impressions are vital in today’s competitive real estate market. Motivated sellers are increasingly making use of “home staging” for vacant and even furnished properties. Home staging recognizes the crucial difference between the way you live in your home and the way potential buyers see themselves living in their new home. Home staging companies that either provide furniture, lighting and décor or work with the homeowners own furniture aim to show a property to the best possible advantage. And that can translate into quicker sales and more satisfaction all around. Anyone who has ever bought or sold a house or an apartment discovers the rudiments of home staging in the advice given by most realtors. Besides honing in on the right asking price for your demographic, most sellers are advised to clean and de-clutter and stick to a color-neutral palette. 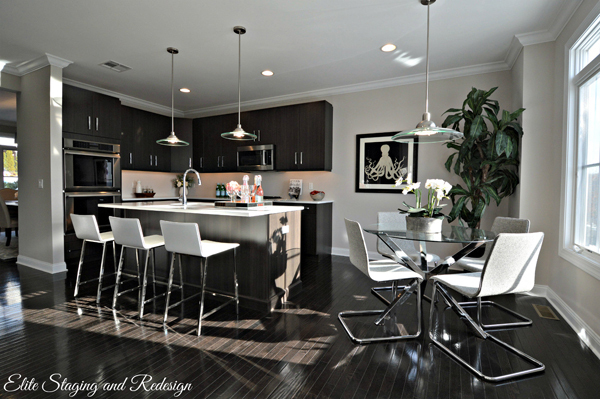 Home staging goes beyond these bare minimum requirements to make a property stand out. According to Ginsberg, home staging gives buyers a glimpse of their future life; it turns an empty space into a home; creating warmth and elegance by highlighting such architectural details as crown and base molding, windows, fireplaces, floors, paneling. “This isn’t something that is easy for homeowners to do themselves,” says Ginsberg. Given their own emotional connections to their home and furnishings, personal decorating style, not to mention all the memories associated with a home, it can be “nearly impossible” for a seller to be objective about how to stage their home properly. “Even home stagers seek the advice of other stagers because of this phenomenon.” Currently preparing her own home for sale, fellow home stager Nicole Lorber, agrees. Lorber likens the process to sporting a “pair of microscopic glasses” with which to examine every aspect of her living space. Having staged hundreds of homes for builders, realtors, architects, investors, flippers, sellers and homeowners, Ginsberg has chalked up hours of experience. Her number one assistant Stacey Colman, she says, makes all of her many activities possible. Ginsberg is a contributor to WCBM 680 AM Radio’s All About Real Estate and her home staging blog on the Active Rain real estate network has garnered almost 300,000 followers. Zillow chose Ginsberg’s company when it launched its new design site “Digs Influencers” and tapped one of her staged living rooms as its “Best Contemporary Living Room Design.” Her work was featured on HGTV for outstanding design transformations and has been commended in several categories by the leading online design platform Houzz.com. According to the National Association of Realtors, 90 percent of potential homebuyers start their search online using the MLS. Online images are often the first thing a potential buyer sees and home staging capitalizes on the positive effects of a good first impression. Ginsberg’s company recommends professional, wide-angle photographs—they use a Nikon D 5000 camera—for clear hi-resolution, eye-catching color images. According to Ginsberg, buyers need to be able to visualize themselves living in your home, and home staging helps them to make an emotional connection, to “fall in love” with the place where they will cook family dinners, entertain friends and relax. Ginsberg has found her niche in this increasingly popular field, which has already spawned two professional bodies: the American Society of Home Stagers and Redesigners (ASHSR) and the Real Estate Staging Association (RESA), the industry’s governing organization. Ginsberg is a member of both and has been trained and certified by Home Staging Resource, a RESA accredited home staging certification. Although Ginsberg’s company offers different types of home staging, from older homes to new construction, she loves to work with an empty space, a blank canvas so to speak. 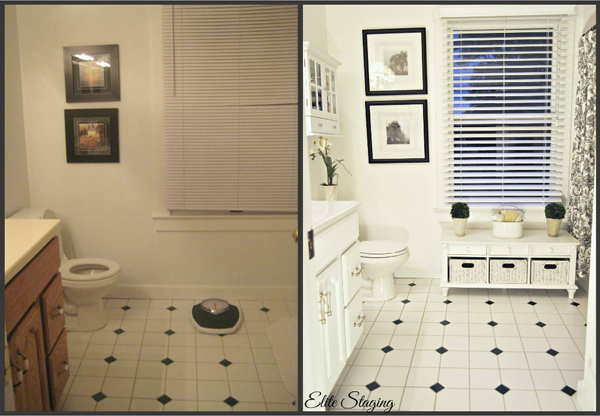 She’s been home staging for three and a half years now and gets a kick out of the results she achieves for her clients. “One house had been on the market for over five months. I suggested they change the lighting throughout and advised them on paint choices. It was under contract within a month. That’s very satisfying,” she says. Home staging and working with a designer isn’t only for the motivated seller; it can be valuable for those wanting to stay in their home but refresh their living space and/or lifestyle. In short, it can help you feel comfortable in your own home. Both Ginsberg and Lorber, lead designer of her own company, Distinctive Interior Designs, specialize in new construction, model and vacant home staging. They will also work with existing furnishings as will the company, Professional Home Staging and Design New Jersey, to update the style and look of a home using the owner’s current furnishings and accessories in one day or less. The idea here is to capture the owner’s style and revitalize the space. A home staging service can provide professional advice on making better use of living space and cut down on overwhelming choices when it comes to room color, furniture and its placement, fabric or window treatments. Lorber also helps clients flip homes for sale and is often engaged to advise clients who are either downsizing or merging two formerly separate homes. A space that is overstuffed with furnishings to which homeowners have long personal attachments requires sensitive handling. “I help them determine what they should leave behind. Very often what is needed is a softly critical eye, someone who can help merge the old with the new.” Over the years, Lorber has become a good listener. It’s a skill she’s proud of and finds indispensible. Staged 2 Sell is a Summit, New Jersey-based full-service home staging and interior redesign company that will also help existing owners redesign their living space.